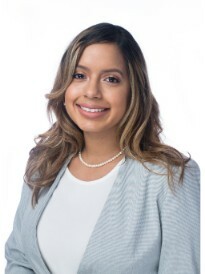 Hello, my name is Jasmine Sigcho and I am a Goosehead Insurance Agency Owner in Houston, TX otherwise known as the “Bayou City”. I am a licensed agent providing full-service insurance solutions throughout the Lone Star State. As a full-service insurance agency, Goosehead Insurance removes the burden for our customers by simultaneously shopping multiple insurance carriers for your auto, home, life, retirement and commercial insurances and in the process, provide our customers with quality service, superior coverage and in many cases, saving you money through the Power of Choice. After completing my B.B.A in Marketing at Texas State University, I began my insurance career at Liberty Mutual while then joining Allstate shortly after. With over 8 years experience, I understand how critical it is to have a knowledgeable agent at your side to answer any of your needs and I am to be that person. During my free time, I love spending it with my boys (my husband, son and Golden Retriever) and also enjoy spending the day outdoors, traveling and reading a great book. Call for a free quote today, you’ll be happy you did. Getting a quote and/or signing up for insurance is fast, easy and an often enjoyable as the agency offers a variety of insurance solutions tailored for each individual’s needs.